Ag drones can lead to smarter farming. For growing high value crops,e.g. 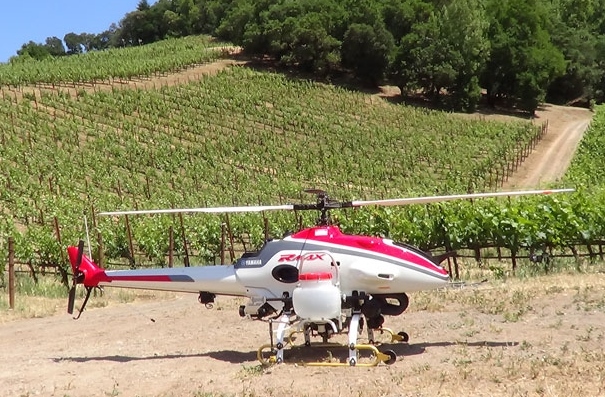 for wine production, the ag drone could be the farmer’s next best friend. With its abilty to fly low, scoop soil samples, take photos, store crop monitoring data and so much more on the cheap ag drones may be the agricultural industry’s silver bullet in crop management efficiencies. Perhaps even with the savings passed along to consumers. Scott Shearer, a professor at Ohio State University and an expert in precision agriculture, calls ag drones a game changer. 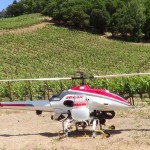 California’s wine growers are currently testing ag drones and thus far it seems they like what they see. Ryan Kunde, winemaker for DRNK Wines,“Small increases in productivity make a huge impact. It’s farming smarter.” The FCC’s blessings on the use of unmanned aircraft are still to come.